Information Technology has brought us closer than before, more connected to the rest of the world. And with this, the careers are experiencing a growth since the last decade and will continue doing so in the coming decade. This has also given a boost to jobs in IT. The opportunities have opened up in all industries that include a wide range of tech jobs like cloud computing, mobile applications, software, online security, computer science, etc. which will require smarter and more qualified IT professionals. With the rising demand, the industry continues to pay well, offers decent benefits, and more and more options to explore your career within the IT industry. This is nothing but a wave of good news for 2019 graduates because this will ensure employment growth. IT jobs are one of the hottest careers today, and this blog is a guide for you to compare the best jobs in IT by growth stability, required skills and responsibilities, wage analysis, and employment projections with respect to tech jobs. This is one the most demanded jobs in IT, and one of the fastest growing professions. Smartphones are now an inevitable part of our lives- and more smartphones mean more mobile applications. The increased demand has led to an escalation in IT jobs, and there are more employment positions to fill with skilled developers that know Google Android and Apple iOS platforms. If you are a 2019 graduate and are looking to make a career that is stable, well-paid and is in demand, go for mobile applications. This field is forecasted to grow as fast as 31% which is much faster than the average rate, which makes it a very lucrative tech job. Being a software engineer is one of the jobs that is seeing a 24% growth every 10 years. Software engineering job is only expected to rise with all the technological advancement that the world is witnessing right now. Softwares are now a necessity in all the computer systems, which gives rise to all types of engineering jobs. Adopting well the ongoing rise of tech jobs like this is what is expected out of 2019 graduates. Cloud technologies demand software engineers for making safe and scalable cloud programs. Smart devices are taking over new industries more than ever now, and the need to develop good computer software that is compatible with these systems is only going to grow. 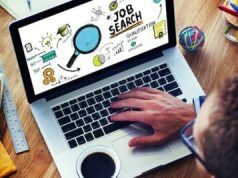 The demand for job profile in IT industry might range from making software for networks and databases for large companies or making software for niche companies specializing in one specific industry. Out of all the jobs in IT, the job of an IT Security Specialist is a very crucial one. In simple words, an IT Security Specialist is someone who is a gatekeeper of a company’s information systems. These professionals run security measures to protect the important data of an organization from hacking and cyber attacks. For any top notch company, security is the number one priority because if any data or information is leaked in wrong hands, they will be looking at huge amounts of losses. Hence, one of the most vital jobs in IT includes this tech job also. The frequency of hiring security managers increases with the complexity of cyber crimes and attacks. Every year, IT departments look for people with high-security skills who can guard their company’s info. This leads to high demands great opportunity for 2019 graduates. Relevant cybersecurity skills and certifications are required for this job. If you are someone with special skills in IT security operations, risk management, information assurance, go for this job. Becoming a web developer is one of the jobs in IT that someone can also look at. Web Developers create web content and sketch out website layouts, navigation, coding and make the website live. This job profile also includes testing and optimizing websites for a smoother user experience. With more and more companies going digital, the web developer is a job that is here to stay. Apply for these jobs in IT if you want to develop a career in web developing. It would not be a surprise at all if someone told you that the video gaming industry is growing triple in size. This has happened just over the last decade. The employment projections are shooting rocket numbers, and this gives a great demand to the jobs in IT for this profile. Video games are becoming more and more popular among the youth, with its graphics capabilities, interactive interface, and processing power. 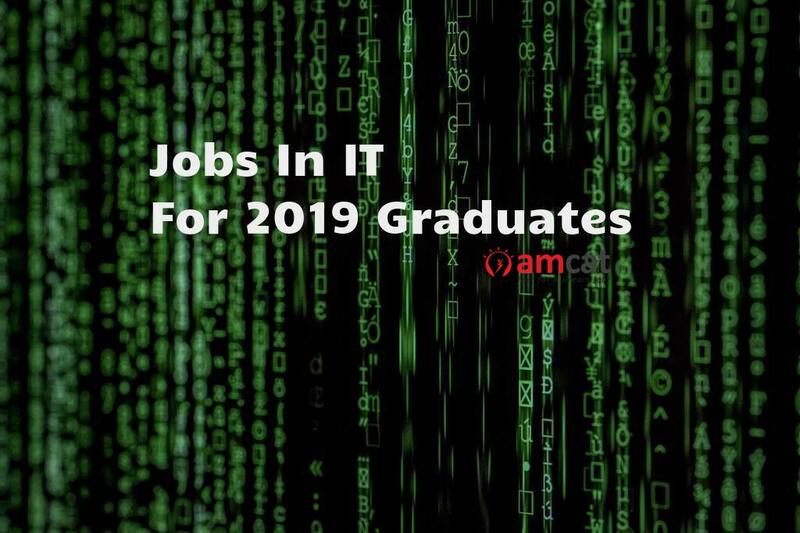 This has unfolded newer opportunities for jobs in IT and for 2019 graduates. The industry needs more game designers who can develop smarter games with the help of mobile development expertise. Smartphones, tablets, and PCs are changing the whole user experience. Video game designer employment will also benefit from emerging technologies and rising demand for augmented reality (AR) and virtual reality (VR) applications. If you are looking for tech jobs which give good wages and is interesting, go for video games designing. The jobs in IT are only going to be in more and more demand with the phenomenal growth of the IT industry. This has definitely given more rise to job opportunities to all the graduates. AMCAT enlists 100+ jobs regularly from several IT giants who are looking for fresh minds to join their workforce. Check out the latest IT jobs on AMCAT website and apply for the one you consider yourself fit. 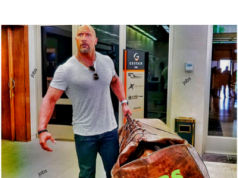 If you too are about to finish your graduation in 2019, it’s time to start preparing for your job. Give AMCAT exam and become eligible to apply for 100s of jobs for freshers in IT companies and other fields.